The "Corte Colle degli Ulivi " project was born from the redevelopment of an ancient agrarian court. 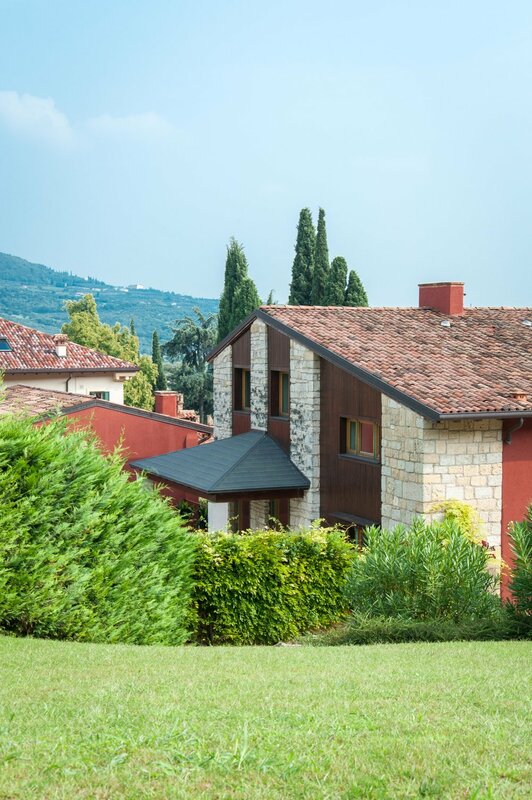 A perfect union between history, environment and technology, offers its dwelling a comfort and a quality of life above the city standards, combining logistic comfort to the country life. 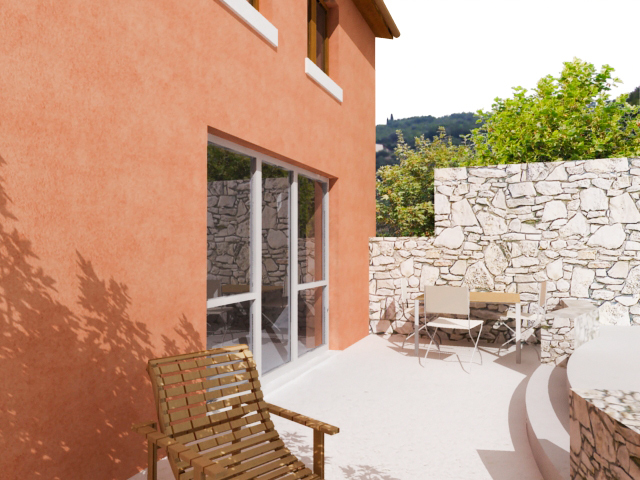 Inserted at the feet of the hills of Quinto, north-east of Verona, the building was designed and built wanting to create the least possible environmental impact. 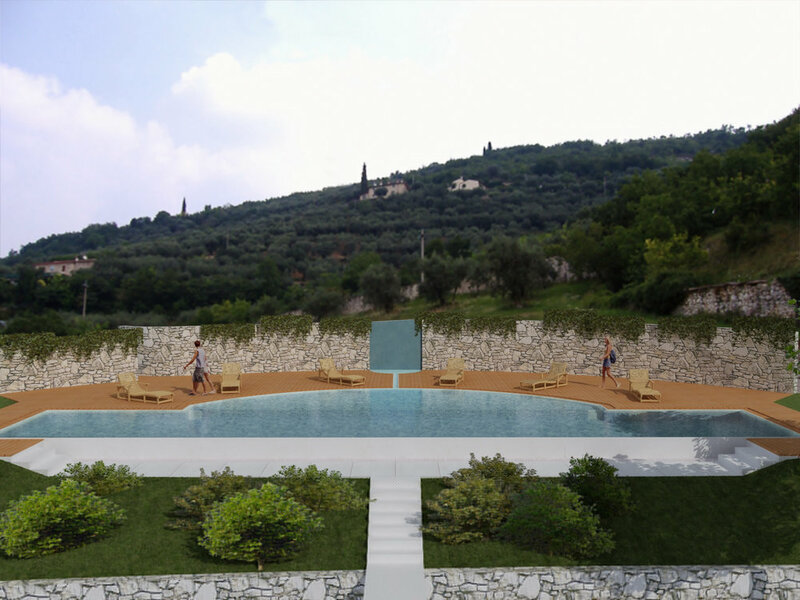 6000 square meters of public green irrigated thanks to an artesian well, solar panels that provide hot water to the houses and wonderful choreographic heated pool with technological devices that reduce water waste and CO2 emissions. Local materials and ancient construction recovery have allowed to complete a facility that follows the architectural cornerstones of yesteryear, integrating them with modern plant benefits for a total comfort.